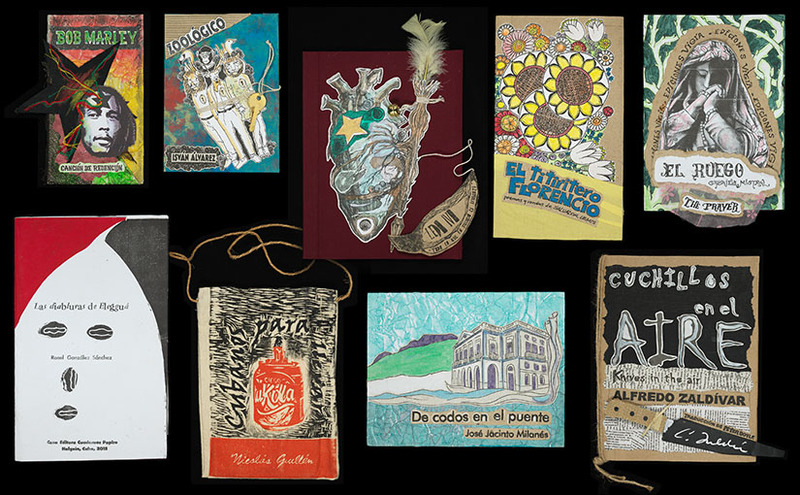 In pursuit of building a complete collection of Ediciones Vigía, RBSC recently added nine hand-made books from the Cuban publishing house. Our collection now totals just under 200 books. The press was founded in 1985 in Matanzas, a city just east of Havana, in response to a repressive period in the 1970s. 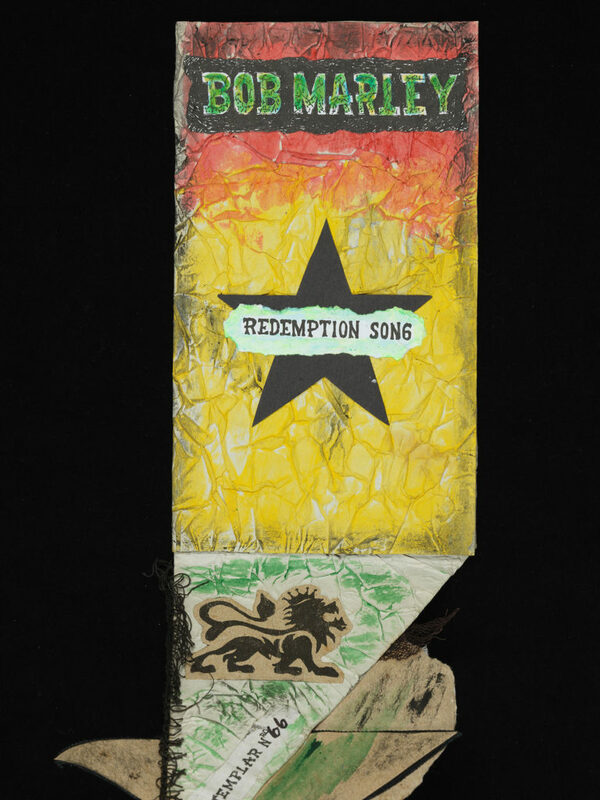 During this time, artists who were seen as on the margins of society—gay, opposed to revolutionary values, outside the mainstream—were ignored or punished. 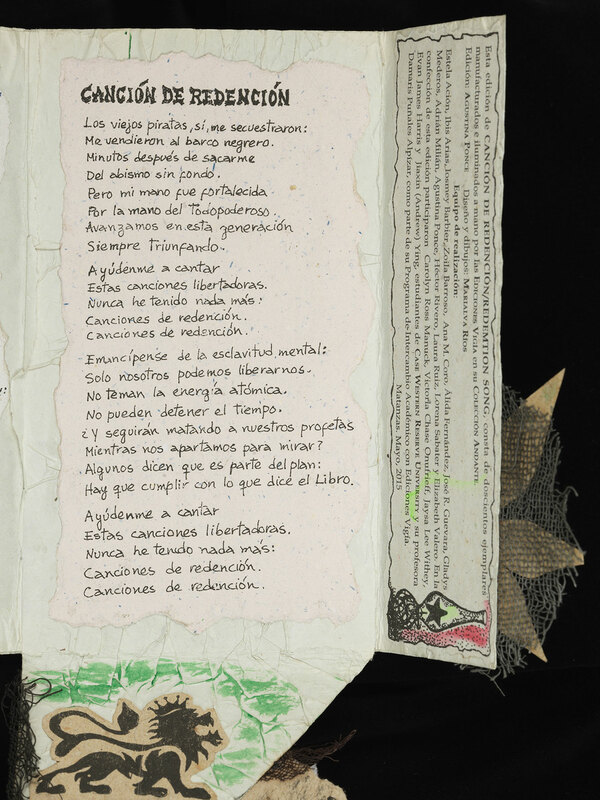 A small group led by Rolando Estévez, a theater designer, and Alfredo Zaldívar, a writer, undertook a project to open a press to publish these types of works. 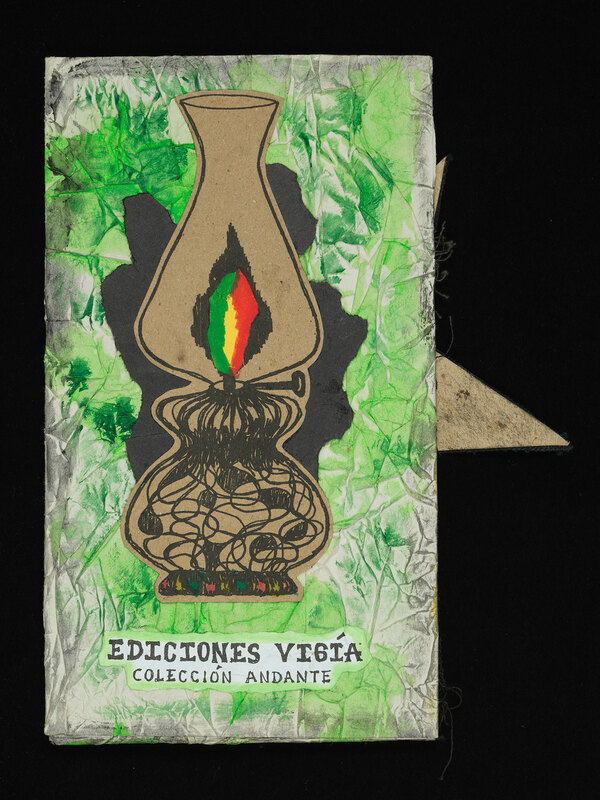 The nine new acquisitions are fine examples of Ediciones Vigía’s hallmarks. 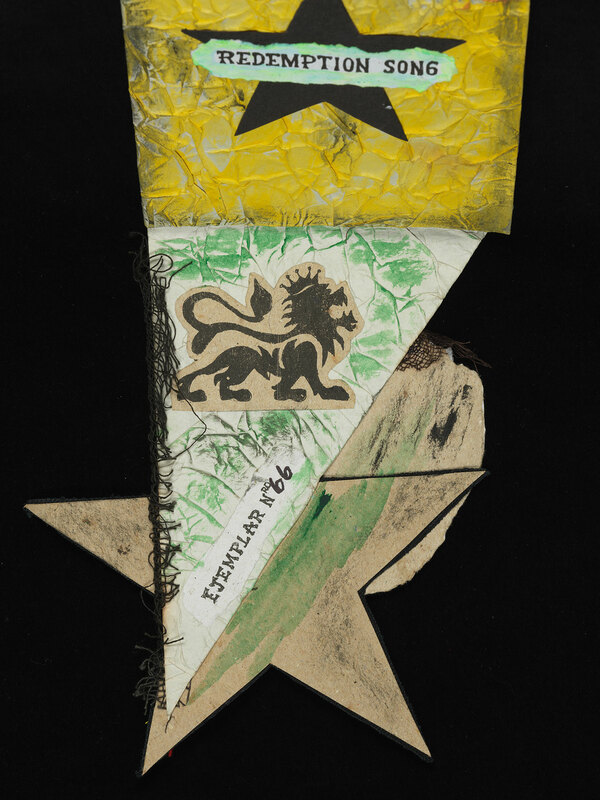 They are hand made from readily available, inexpensive materials. All nine are shown above, with detail views of Canción de redención below. 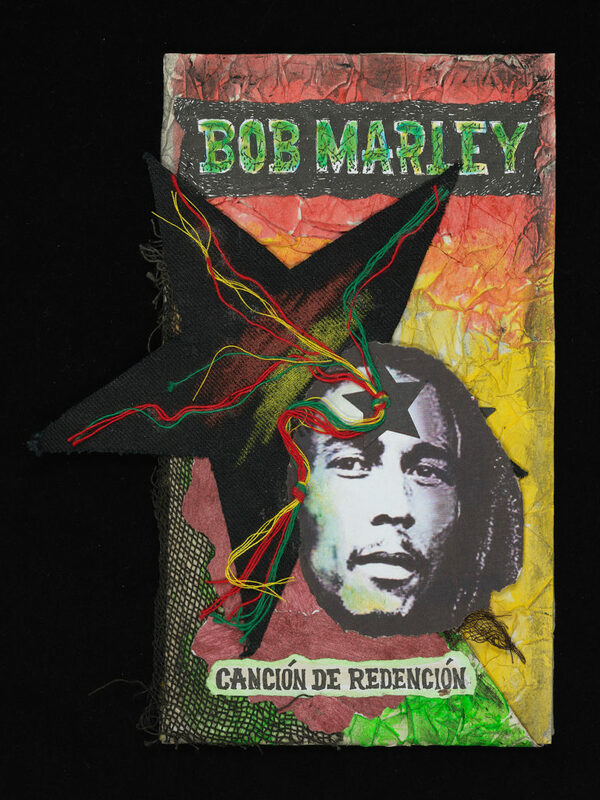 Front cover of Canción de redención by Bob Marley (lyricist) and Marialva Ríos (book designer, illustrator), closed. 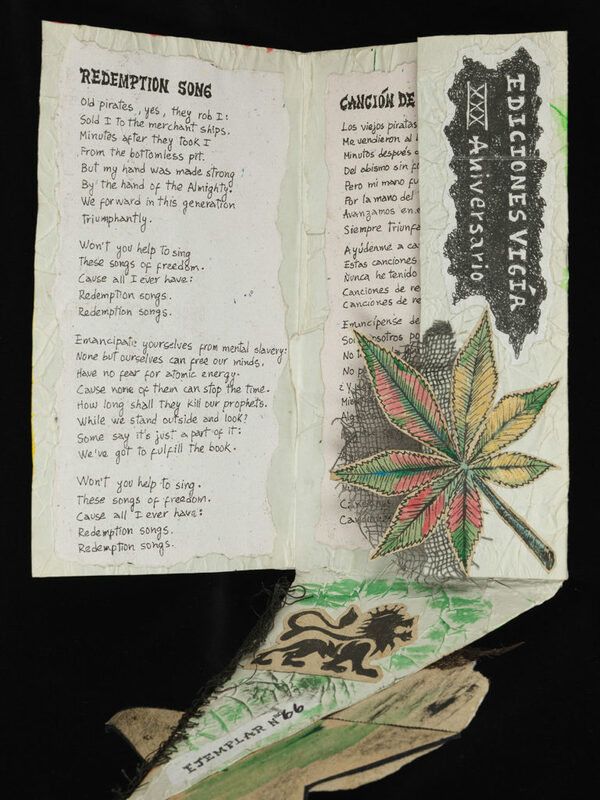 Inner front cover with cover flap folded down. Inside of front cover flap. Inside with left flap open and right flap closed. Inside center with right hand flap opened.